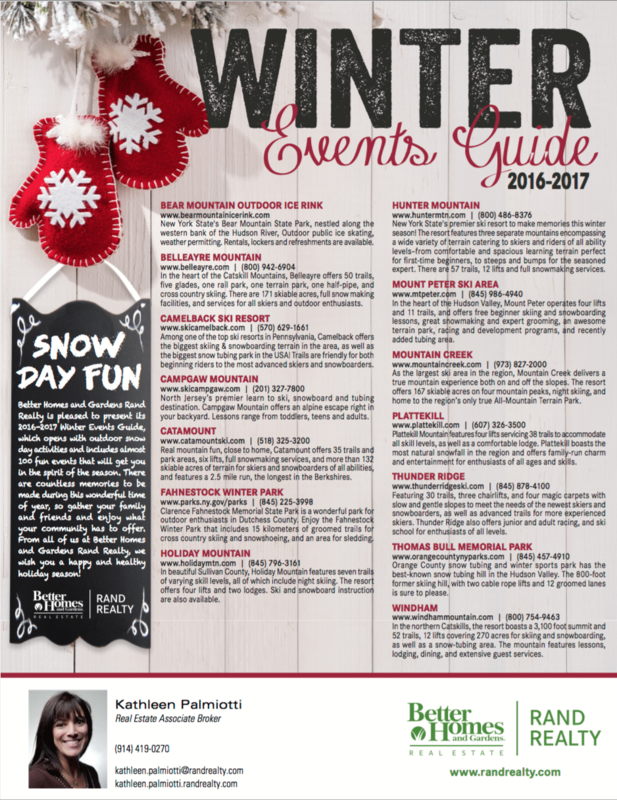 The Better Homes & Gardens Rand Realty Winter Events Guide for the 2016-17 season is now available! This document provides ideas of things to do this winter, and during the upcoming holiday season. The guide covers Orange, Westchester, Putnam and Rockland counties, as well as the northern New Jersey area. Click on the photo below for access to the entire report.